When you think of natural methods of healing, you probably pull out your essential oils, a couple tinctures, or maybe call your naturopath or chiropractor. But an age old response to chronic ills is fasting. There are many different ways to fast; some cut out certain foods for certain periods, some only drink water, and some juice. You can fast for a few days, for a week, or even commit fasting to a way of life by fasting for a number of hours per day certain days of the week or month. Intermittent fasting consists of cycling through periods of eating and fasting. Cease eating 14-16 hours each day. Eat what makes you feel good during your eating hours. Don’t ruin your intermittent fasting benefits by eating junk foods; eat pastured meats and eggs, good fats, and plenty of fruits and veggies. Gluten free whole grains can be good if you tolerate them. Stop eating after dinner, and count 14-16 hours until you break your fast the next day. During the fast, you may sip on room temperature or warm water or tea. Break your fast with a full glass of warm water, and then eat your lunch (or brunch). Eat as you normally would until your next fast. Play around with the schedule of which days and which hours you fast, and keep to the schedule which works best for you and gives you the most energy post fasting. Intermittent fasting is ideal for those looking to lose weight and improve their overall health. A complete fast, where one abstains from food for multiple days in a row, is more suited for someone with chronic ailments or illness. So why in the world would someone want to fast regularly? Wouldn’t that destroy their metabolism? Keep in mind that no one treatment will completely heal you. Healing takes a lifestyle change. Fasting is another resource you have to add to your healing process. Rev up your body’s ability to detox. You’re bombarded with toxins everyday. When your body has a break from digesting, it can focus on clearing out the organs, cells, and processes involved in detoxification. This leaves you in better shape to detox after your fast is over. It is possible to experience a healing crisis or even an illness during or after a fast, as your body stumbles upon a latent virus or toxin it did not locate previously, or didn’t have the energy to detox before the fast. Help your cells remove waste. As your digestion and detoxification processes improve, your cells will also have the capacity to repair and replace, a process called autophagy. This will help kick out the toxins built up in cells, such as cancer. Increase energy. As your body removes toxins and waste, as well as loses weight, your energy will increase significantly. For millennia, healers have indicated fasts for healing serious disease. Be cautious when considering a fast if you use medication for diabetes, a mental health disorder, or an eating disorder. Do not complete a fast if you suffer from low blood sugar. Many experience emotional, spiritual and mental benefits when undergoing a fast. When our bodies reset, we may feel back in balance and experience higher levels of energy and clarity. 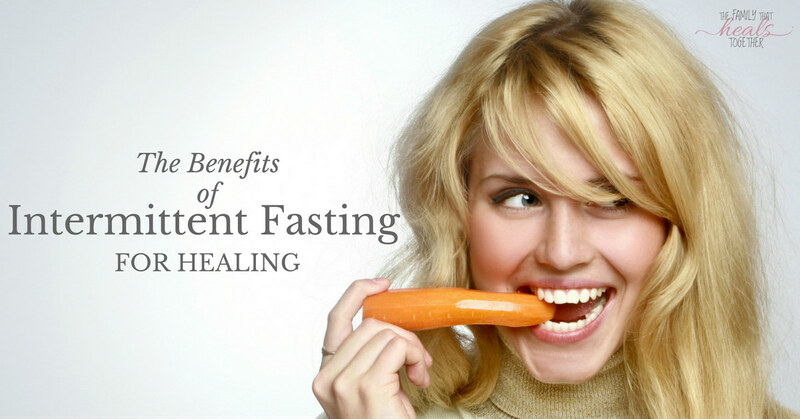 Fasting may be just what you need to add to your healing arsenal. I personally have had amazing benefits from intermittent fasting physically and spiritually. When you focus less on eating, your mind has more space for other concerns, and you can work through issues you may struggle with. Likewise, when your body does not have to consistently use energy for digestion, it can use the energy to clear the body of lingering toxins or infections. 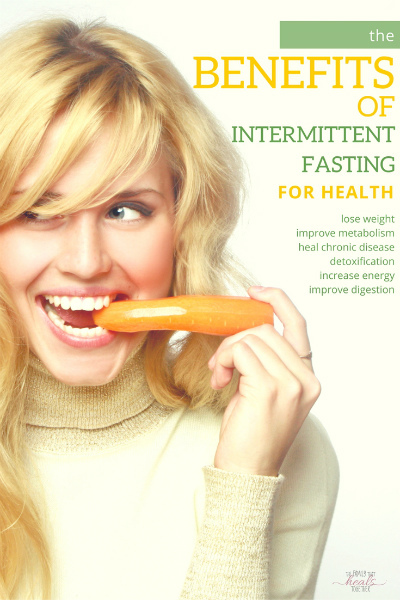 Have you experienced intermittent fasting benefits? Be sure to share using one of our links for friends who may be considering intermittent fasting. Always fast under supervision of a qualified healthcare professional who has supervised numerous fasts, and measure your healing progress. Ask your primary care physician if any drugs or treatments you are currently taking may be effected by a fast. I had some adrenal related blood sugar issues last year that have completely gone away with IF – I am a total beleiver and love it! I have an early household (hello toddlers and too many little people!) so I do a different schedule but it still really works for me at least – I eat from 7am til about 1pm and done for the day. Have you personally lost weight using this plan? 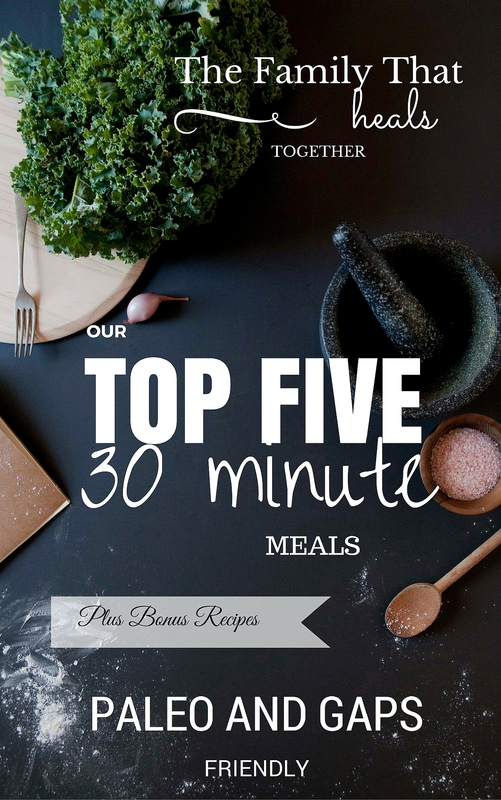 What time do you typically stop eating in the evening and start eating in the morning?